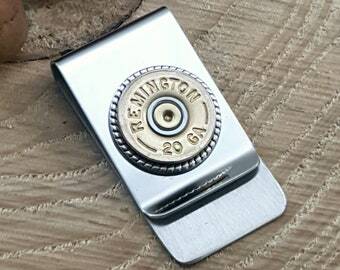 Spent 12 gauge shotgun shell processed using our patented method and nestled in a brass bezel before securely mounting it to the stainless steel regulation size, military style dog tag (1" wide by 2" long). The brass bezel gives the casing style, quality, character and dimension, not simply flat mounted. The dog tag is linked by way of a jumbo steel jump ring to a large split key ring (33mm), large enough to hold several keys. This is a great gift idea for any man or woman that is an avid hunter or gun lover/supporter. An excellent gift idea for under $20. We offer several brands of 12 gauge shotshells. Use the dropdown to choose your brand. See other listings for our 20 gauge variety. 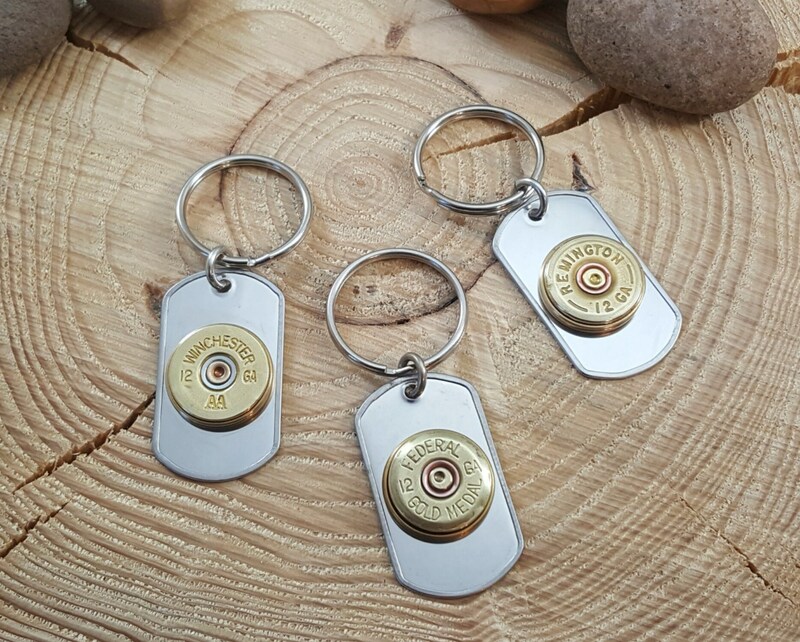 We also carry round stainless steel key rings, bottle opener key rings and nail clipper key rings too. See other listings in our shop. Have a wedding coming up? Contact us regarding how we can help you will all of your groomsmen and/or wedding party gifts. 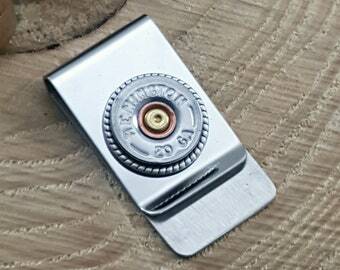 We also carry a complete line of cuff links, money clips and tie tacks that make excellent groomsmen gifts.